No matter how you look at it, irrespective of the angle you try it from or the unique approach you take, writing a book is hard. Studies have shown that it is actually one of the hardest things you could ever do. And doesn’t that say a lot about writing a good book? Because there’s a huge difference between writing a book, and writing a book that is worthy of publication. It can sometimes leave you wondering why you ever thought it was a good idea in the first place. Maybe this whole writing thing isn’t for me, you’ll tell yourself, maybe I should have went to college after all. Fear not fellow writers, for I won’t let you give up hope. This blog is filled with lots of wonderful writing and editing tips, prompts, and analyses – all of which are here to help you on your journey to becoming the best writer you can possibly be. Consider this blog your saviour. Consider it your guiding eye and leading hand. Now, the task at hand. Opening chapters are just like putting the sheet onto your mattress – they’re extremely tough to get right first time. But with a little resilience, with some time and effort (and maybe some tears,) they can be perfected. You just have to know how. You just have to know what you should do in your opening chapter. Or perhaps more importantly, what you shouldn’t do. By now, I’m sure you’re all familiar with the concept of showing vs telling. If you aren’t, you can read all about it here. There’s perhaps no bigger turn-off than an opening chapter that tells the reader the whole way through. This establishes a terrible written voice right off the bat, and will make a reader question their sanity on the very first page. If all your opening chapter does is tell, there’s no way your readers will want to go any further. Readers want to be shown things. They want to be shown things so clearly that they feel as if they’re right there on the page surfing over the words as they read. They want to be able to picture the scene so clearly that it feels as though they are an actual part of it. So in your opening chapter especially, make sure to really show the scenes and the characters involved, and make sure to set the pace for the narrative voice that is set to follow. This is perhaps the most common offender in bad first chapters that I have read. These are the first chapters that just jump right into the plot with no substance or backstory. As a reader, when reading through a first chapter such as this, you feel as though you’ve just been launched right into the heart of a written car crash. Things are happening, people are saying things, but you aren’t quite sure why. Aim to make your first chapter as simple yet as engaging as possible. Introduce a character or two (your protagonist doesn’t always need to be included, but at least make sure the events of the chapter are in key relation to the plot,) and really show their appearance and set a scene. Make the reader feel as though they’re there. For me, the main function of an opening chapter is to introduce one of three things. The first is the main part of your plot (namely the thing your protagonist is up against,) the second is your protagonist, and the third is your antagonist. Hell maybe your first chapter introduces the reader to all three. But definitely make sure to get at least one of them in there. Without any of them, what is the purpose of the opening chapter? That’s what I’m trying to communicate here. If neither of those things are included, your opening chapter serves no purpose. As an editor, I believe in cutting anything that doesn’t serve a purpose to the development of your plot. The same very much applies to the opening chapter. Perhaps even more so. In basic terms, just make sure there aren’t any car crashes. It couldn’t get much simpler than that, right? If your opening chapter doesn’t end with some sort of tension, or at least leave the reader asking a question, you’re setting yourself up for inevitable failure. If this isn’t achieved, what is the purpose of your opening chapter? It would be there just for the sake of existing, and that’s never a good thing in any part of your manuscript. In my opinion, if a reader can put your book down after finishing chapter one, then chapter one isn’t strong enough. They should always finish chapter one feeling the urge to jump right into chapter two – that’s the type of wow-factor you need your opening chapter to have. One great way to achieve this, is to end it with some tension. Make the reader ask questions, give them things to think about; leave them on a cliffhanger. The more you give them a partial taste of what’s to come, the more they’ll feel the urge to read on. Imagine being given a slice of the greatest tasting pizza on earth. You can bet your bottom dollar that you’d want another slice of that sucker at the very least. This is how you should think of your opening chapter. Chapter one is that first slice of pizza, and its main purpose should be to make your reader want to eat the whole thing. If your opening chapter is filled with tension, and if the rest of them flow in the same sort of way with the same sort of fluency, that pizza will be devoured in no time. This is a lot to take in, I understand that. But for me, there’s no use in just pointing out the potential flaws in your opening chapter without giving you a possible way to rectify them. So that’s what I have done. If you spot any of these errors in your opening chapter, make sure to do your very best to fix them. With a lot of time and effort, I know you’ll be able to do it. You could also send your opening chapter over to me. 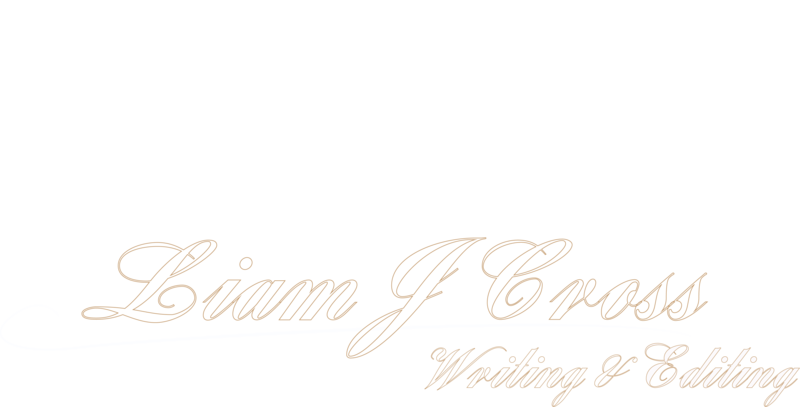 As part of a new service, I’m now offering opening chapter/first three thousand words critiques and edits. This is for those of you who may want some insights, but can’t quite afford a full editing package. For more information on this, please get in touch via my contact page. Very timely as bogged down in how to improve Ch.1 right now. Glad the timing was right. Really hope you find it useful!